What an incredible summer! So much has happened, life has been so rich and there is so much to be grateful for. Firstly, I'd like to thank everyone who has contributed so far to my PledgeMusic campaign. We launched in early summer and made it to 100% with four days left in the campaign! What an amazing process. It's not over yet, as people can still make pre-orders until my album “Quickening” is released in January of 2016. Every little bit helps and please feel free to spread the word! Spring and summer of 2015 will always be remembered by me as one of the most creatively rewarding and inspiring times of my life. Writing new material, revisiting past material, engaging with amazing musical friends, travel, ocean swimming and recording my first album! The songs are sounding incredible and I couldn't be more happy with the result. Plus, the process is really rewarding and invigorating. Not finished yet, getting closer! As I passed the anniversary of last year's health issues, I took some time to reflect upon what a gift this year has been. I was able to finally achieve some of my long-time health goals: I took sugar and wheat out of my diet and feel amazing. I actually lost about 25 lbs! This wasn't exactly the reason to change my diet but the payoff has been incredible and I've never felt better. Fall and winter are on their way and with the changing seasons has come a shift in focus. The summer, with all it's mystical wanderings, long days and dreamy warmth is over. It's time to go inside (but not too much! ), organize and clean out some clutter. And get stuff done! I've never felt more motivated. It's amazing! Plans for the release of “Quickening” are taking shape for January. I'm excited about where this project will continue to take me and I cannot wait to share these songs with the world! If you are interested in pre-ordering, please check out my PledgeMusic site for more info. Much gratitude! Good luck, eternal happiness and love! And dizzy little stars. Ah, the long, warm days of summer! What a wonderful spring, a lot of creative endeavours and exciting new projects bursting forth. Along with the summer solstice comes some exciting news! I'm in the process of recording my original songs for the very first time. The plan is to release a full-length album in January of 2016 and I couldn't be happier about it! So far I have three songs finished and will be heading into the studio over the coming months to record songs three at a time. Working with my dear friend, the amazing Rick Salt at Mountainview Studio has been awesome! 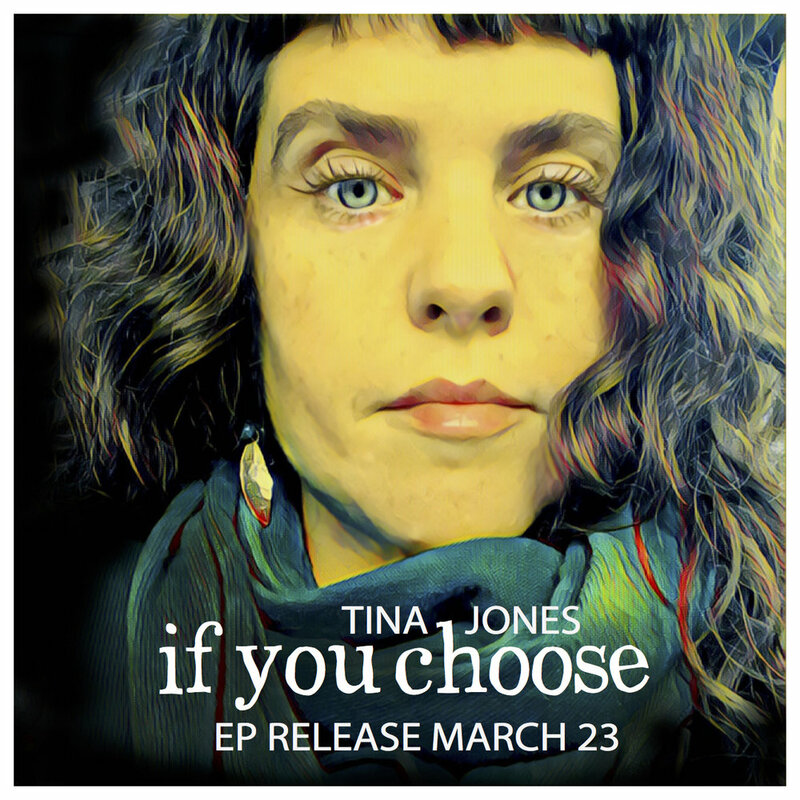 In addition to this, I get to collaborate with some of the region's most talented musicians; Marisha Devoin bass and vocals, Duncan Symonds guitars, Chad Geekie keyboards and piano and Hans Verhoeven drums and percussion. The songs are sounding so good and I am so grateful! Please stay tuned for more news including a Pledge Music campaign - you can help make this project happen by pre-ordering the album! I can't wait to share this music with the world, it's about time. I send you naps in hammocks, replenishing walks in nature and gorgeous sunsets. On Monday, March 9th, 2015 I put on a show. My first ever sit-down show. And it went swimmingly! I am thrilled to have had the opportunity to play with some of my favourite musicians: Marisha Devoin on basses and voclas, Leah Hokanson on vocals and piano, Chad Geekie on piano and Fender Rhodes, Duncan Symonds on guitar and Hans Verhoeven on drums and percussion. These people approach music from an emotional level first, then execute such a musical approach to the pieces. Just so pleasing. I couldn't be more pleased! It's been a fun and interesting ride! Challenging to prioritize a creative practice. It comes in fits and starts. When it flows, LOOK OUT. I gotta do it. Art stuff pours outta me and songs move through like lightning. Then the mundane every day life things take the top of the list. It's a constant push and pull. Balance would be nice, still working on that piece. Who isn't? During one particularly desperate-feeling evening when my parenting duties had taken the entire day, I stayed up way too late. Playing banjo in bed. That's right. Penny was away at meetings and I was holding the fort. Hey, a gal's gotta get her banjo playing in, right? I was struck by the sadness of my art-school dreams thwarted. So, as any forward-thinking woman will do, I started planning a show! I was thrilled that my proposal for the Lulu Turns 10! season was accepted! I put a list of fave musos together and they all said yes. This fact alone was enough to leave me satiated. Then, I put a list of some fave songs together and immediately felt new music starting to flow through me. Didn't get to sleep until about 3am. Thank goodness my other muso friends (aka Marisha) are night owls as well. Fast forward to March and this dream came true. Not only has it come true, it's germinated other dreams. I plan on doing a recording of some original material. The challenge here will be funding such a project. Lots of ideas! If you have any ideas, let me know. Inner critics are having a field day with this one. But I am feeling bolstered by the incredible support of my community, my friends, fellow musicians and family. Still feeling satiated yet excited to see what underlying realities will take shape! Let's get creative! Being a creative person in the world today has it's challenges. I've been a professional musician since before I graduated from high school, I get asked on a regular basis, "What is your day job?" or, "Do you actually make a living playing music?" and I'm always honest. Yes, I do have a day job, I'm a musician and, yes, I make my living at it. Friends who own Slow Rise Organic Bakery, a small wood-fired bakery on Gabriola Island, get asked the same questions just as frequently. They say, "We make a lifestyle". I've decided to steal that. And eat a lot of their gorgeous breads and scones. And struggle to maintain a lifestyle as a professional musician living on a beautiful island. Growing up a creative person, I've always known what I wanted to do with my life. Or, I should say, what I must do with my life. The arts have always held a strong hold on my heart and I've been very fortunate to have been given some great opportunities. I've also worked really hard. But, in conventional school, one is forced to decide which arm of the arts to focus your energies. Music presented itself as the most likely candidate and the rest is history. But, all my life there has been visual arts, drawing, painting, ceramics. Plus, I've always wanted to go to art school. So, over last winter (2013), while I was complaining about the perils of the music industry to my wife Penny, she said, "Go to art school already!". Feeling very grateful for my wonderful spouse's support, I researched, decided to get a portfolio together and apply to go to Vancouver Island University. I was finally going to go to art school! Plans were made, interviews had (and nailed), my best pieces from the last 20 years were put together as a body of work. That felt pretty good! I even got a scholarship from the Nanaimo Arts Council. I was on my way to becoming a student again for the first time in 20 years! And I was finally going to ART SCHOOL! I even got a scooter. Living in a small community, word gets around fast. Specially when the word is something not expected. Art school? Really? Nearly everyone I know has been so supportive and excited about me going to art school, many saying that was a dream they've had too. This bolstered me and I am really grateful for that. Fast forward to summer of 2014: gigs with The Kerplunks, traveling across the country playing music, making an epic music video, it went by so fast. I barely had time to think or plan for art school. I was also tired and felt generally unwell. I just chalked it up to business and stress. Then, finally, Labour Day long weekend! Ah, a much needed weekend off! I could finally sleep in. However, sleeping was almost all I did as a feeling of overall severe malaise and exhaustion overtook me. I thought I was nervous about going back to school, it was all in my head, I must have food poisoning. I couldn't eat and could barely get out of bed. By the time Tuesday came around (the day before my first classes), I reluctantly drove myself to the clinic. With one poke of my belly, the doc called the ambulance and I was on my way to the hospital, on the next ferry: Appendicitis. I couldn't believe it! Then the reality of the situation hit me. I'd be on the chopping block within the next 12 hours. It's been just over three weeks since the surgery. I had an abscess on my appendix that had ruptured and the surgeon had to remove some of my bowel. Needless to say, recovery has had it's ups and downs. I'm able to go for walks again, which is great! My dog Indy is my little guardian angel. She barely leaves my side. Looking forward to when we can soar for hours in the forest together. School? Well... Not in the stars yet. But, since I carved out the space to go to art school, I'm still dedicating myself to the practice. And this is my path. It is my intention to share work here and on my Facebook and Instagram pages. Thank you for reading! There will be more.